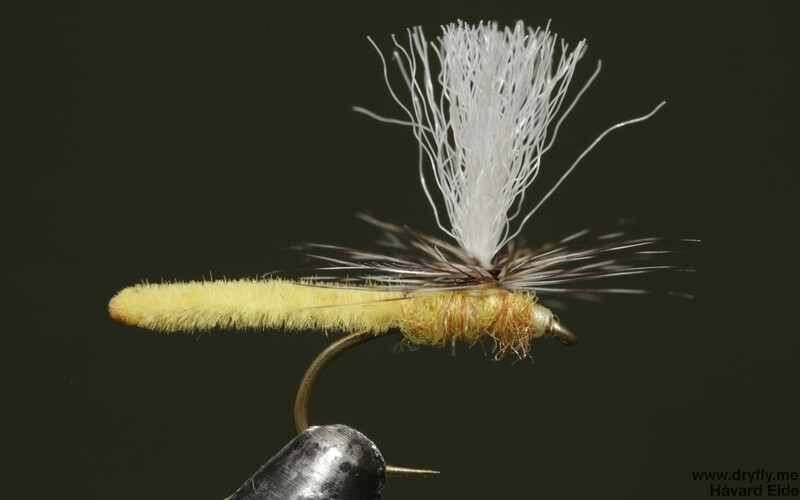 Home » Dryfly » Yellow Microdun – start of my dryfly box this season! Yellow Microdun – start of my dryfly box this season! I have done a lot of spey and salmon patterns this winter, but tomorrow is March, and sprint is around the corner, so it is time to start filling up the dryfly box! We have a river running through Oslo here that have had a bad time (basically all trout was killed of some years ago), and wasn’t supposed to open until next year, but this week we got the message that the river will be opened from 1.April this year instead, so I’ll start getting some dries up to start with some urban fly fishing this easter!